mentally retarded children and became deeply interested in their education. Her conviction developed that physical and medical treatment were not enough to ameliorate their situation. She saw, that given special educational training and methods, the mental condition of these defective children could be greatly alleviated and improved. Her biographer, E.M. Standing gives a striking example of how her ideas and practice for education were formed by her observation for children. Dr. Montessori watched a group of retarded children, who were kept in a room completely empty, lacking any equipment for them to handle. After meals the children searched the floor with their hands looking for crumbs. Dr. Montessori saw their behavior as an instinctive effort to learn about the environment through their hands. This idea, that the path to intellectual development is through the hands, is a major theme in her method. 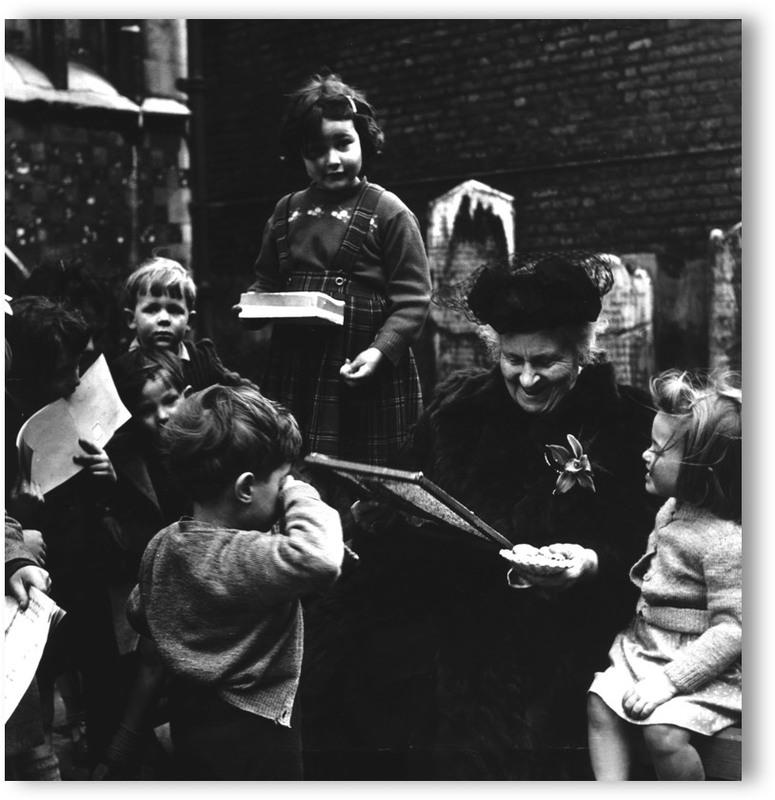 Dr. Montessori was so convinced, that these mentally deficient children could be helped, that she traveled to London and Paris to study the work of two pioneers in this area, Jean Itard and Edouard Seguin. She was subsequently greatly influenced by their ideas and methods. Jean Itard (1775-1838) who lived through the French Revolution, made a particular study of deaf mutes. Over several years Itard attempted to educate and humanize a retarded boy, who was found abandoned in the forest of Aveyron. An account to his efforts is given in a book he wrote, called "The Wild Boy o Aveyron". This book is well worth borrowing from library and reading, as it contains the roots of many Montessori ideas. Edouard Seguin (1812-1880) was a student under Itard and he later founded his own school for deficients in Paris. Seguin described his method as physiological as he began by educating the muscular system and senses. Starting by teaching "idiots" how to walk, he guided their learning through a series of increasingly complex activities. Firstly he taught them how to maintain balance and equilibrium in most difficult movements. Once they had achieved this, he led them on through a series of increasingly difficult exercises, to finally making judgments based on muscular and other senses. All of this activity was grounded in the practice of touching, hearing, smelling, seeing and tasting. By using the senses, children were able to build up a picture of the concept of the reality of the world. This eventually led to abstract thoughts. This process, of educating the senses, became the basis of the Montessori Method. 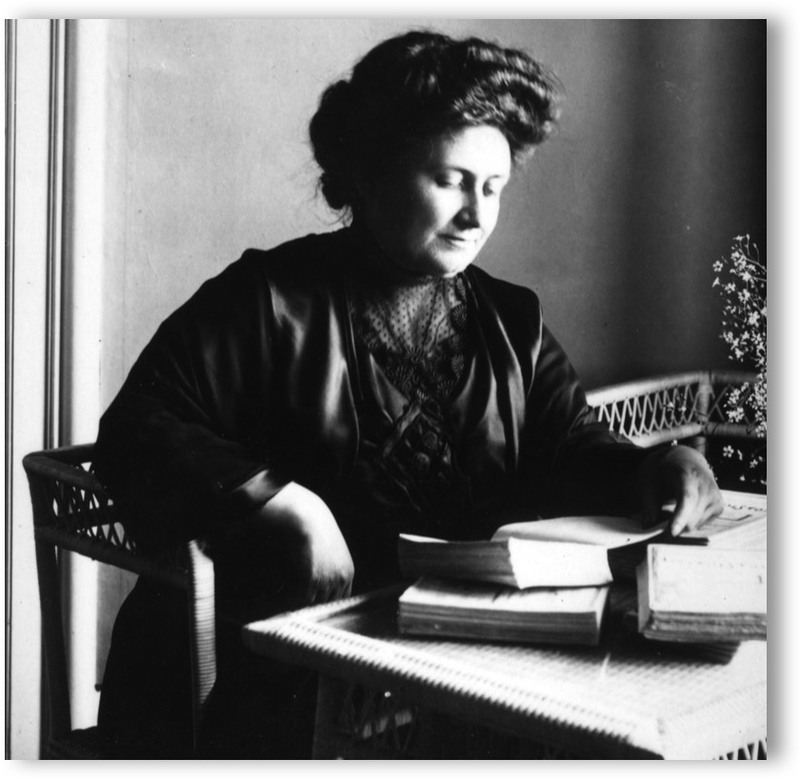 In 1899 at a special congress on teaching and learning in Turin, Dr. Montessori gave a paper on her ideas on education she had developed up to this point. As a result, the Minister of Education asked her to give a course of lectures to teachers on the State Orthophrenic School and from the year 1899 until 1901 Dr. Montessori directed this school. For her it was a period of intense activity. 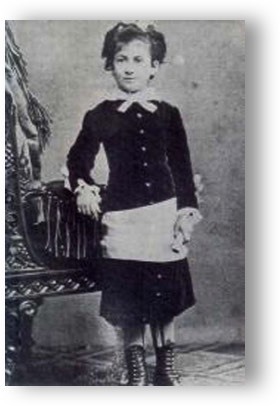 She trained teachers, taught the retarded children and tested a variety of teaching or didactic material. Ideas for these didactic materials were drawn from the work of Itard and Seguin. Under her methods a number of retarded children were successfully taught to read. Dr. Montessori wrote of her work: "I succeeded in teaching a number of idiots from the asylums both to read and write so well, that I was able to present them at a public school for examination together with normal children and they passed the examination successfully." In 1901 she gave up her work in the Orthophrenic School and enrolled, once again as a student at the Rome University attending courses in Philosophy and Psychology. She translated the writings of Seguin and Itard into Italian, so that she could gain a deeper understanding of their ideas. In 1904 she was appointed Professor of Pedagogic Anthropology at the University and at the same time she continued her many other activities.In 1906 Dr. Montessori was asked to organize the infant schools being built in a slum clearance-rehousing program. The first school, a large tenement house in San Lorenzo, Italy, was for children aged 3 to 7 years. It was called La Casa dei Bambini, which means the Children's House. In the following two years, two other Children's Houses were founded. In these schools Dr. Montessori was now able to apply her methods to normal children. She believed that, if her methods achieved such starting results with retarded children, then these same methods could improve the performances of normal children. The children in her first two Children's Houses were what we could now call deprived children. They were often neglected and lacked care and stimulation from their parents. In many cases the parents themselves were illiterate. Dr. Montessori's hopes were realized. These deprived children began to learn more successfully. 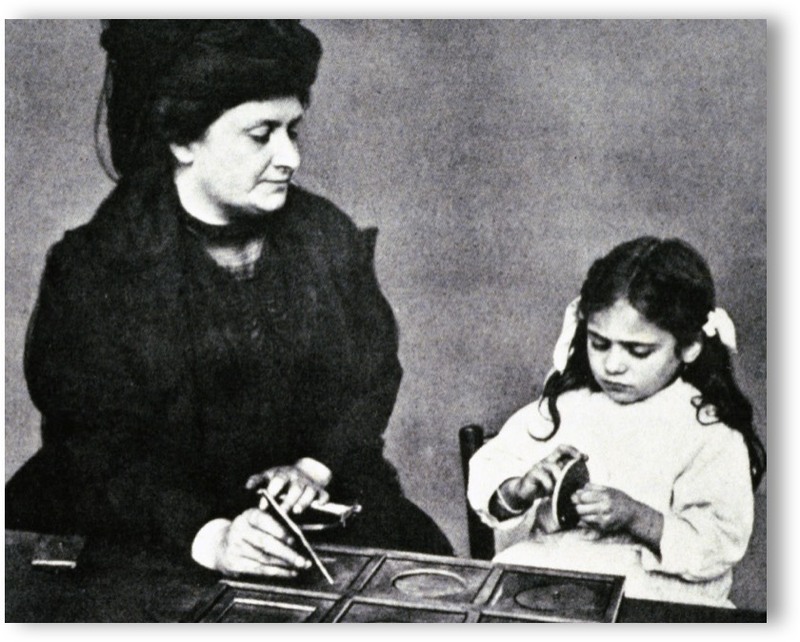 In the third school, children from relatively privileged middle-class backgrounds also proved, that Dr. Montessori's method was so much superior to the conventional teaching of her day. It was soon evident, that all children were capable of achieving spontaneous and independent learning. Spontaneous activity and independent learning are key ideas in the Montessori Method. Fame and recognition now came quickly to Dr. Montessori. The press of the world was recording stories of how successful her methods were. In a few years she was internationally known. By 1909 her book "The Method of Scientific Pedagogy as applied to Infant Education and the Children's House", which described in detail her method for schools, was published. Visitors came from many parts of the world to see for themselves the successful and stimulating teaching and learning taking place in the Children's Houses. The visitors were inspired and Montessori movements began to spring up all over the world. Montessori schools opened in places as widely separated as America, Russia, Japan, Germany and India, to name only some. Dr. Montessori now spent all her time on her new work, training teachers, writing and giving public lectures. She traveled extensively, visiting the newly founded schools and Montessori Societies. In America her ideas were widely acclaimed. She was received in the White House and the daughter of the President of the United States, Margaret Wilson, became the secretary of a Montessori School sponsored by Alexander Graham Bell, inventor of the telephone. A strong attack on her method was, however, launched by a Professor of Education, William Kilpatrick. He published a book, that had great influence on teachers and administrators and as rapidly as the Montessori movements had grown, it withered and temporarily died in America. Kilpatrick argued, that Montessori had based her ideas and practices on out of date psychological theory. Montessori visited America several more times but never returned after 1918. The American experience of rapid rise and fall of the Montessori Method was unique. In the remainder of the world the movement grew steadily. 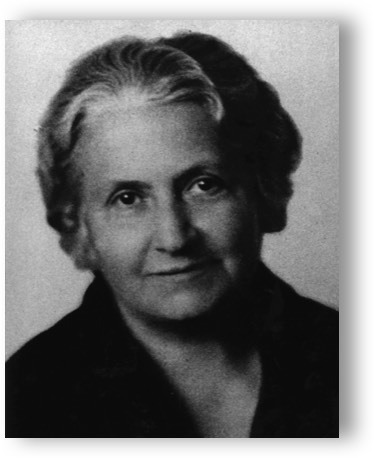 In the early twenties, Dr. Montessori was appointed Government Inspector of Schools for Italy. She did not hold the spot long because of her disagreement with the Fascist government. Incidentally, she spent more time in Spain where she founded a special Teacher Training Institute. With the rising of political tension in Europe in the thirties she left Spain for Holland. By 1939 she was in India, the outbreak of war prevented her return and she spent the war years in activity building up the movement. As a result, India is to this day a center of Montessori enterprise. In 1946 she again visited England and received interest in the movement. She continued to travel extensively, teaching and lecturing. Many countries honored her with Royal, Civic and Academic awards. She died in Holland in 1952. Following her death, the movement continued to grow steadily. In the early sixties the growth accelerated and there was a worldwide revival of interest in her ideas. In America, by the early 1970's there were over one thousand Montessori schools. Likewise in Britain the growth of new interest in Montessori has been rapid and continuous. In discussing her life history, it is interesting to note that her great contemporary, Sigmund Freud was formulating his theories of psycho-analysis at the time Montessori was researching and publishing her method of education. A significant aspect of Freud's theory is concerned with the importance of early childhood experiences on later adult behavior. The importance of early childhood is also a theme to which Montessori constantly refers. Many countries honored her with Royal, Civic and Academic awards. She died in Holland in 1952. Following her death, the movement continued to grow steadily. In the early sixties the growth accelerated and there was a worldwide revival of interest in her ideas. In America, by the early 1970's there were over one thousand Montessori schools. Likewise in Britain the growth of new interest in Montessori has been rapid and continuous. In discussing her life history, it is interesting to note that her great contemporary, Sigmund Freud was formulating his theories of psycho-analysis at the time Montessori was researching and publishing her method of education. A significant aspect of Freud's theory is concerned with the importance of early childhood experiences on later adult behavior. The importance of early childhood is also a theme to which Montessori constantly refers.